Popsicle Sticks is a finished flimsy as of last night. This is a big quilt – King size – finishing at 112″ x 112″. This quilt looks larger than it is when it is draped over my bed as my bed is only a Queen size. The pattern is a Terry Atkinson Design. Happy Thanksgiving to my quilting friends south of the border in the U.S.A! Today is my birthday. I am the fifth and last FAB to be celebrating my birthday this year. We have postponed the PAR-TAY until the new year–either January or February. With 5 busy people’s schedules to organize, Thanksgiving celebrations, Christmas and New Year’s celebrations, we have all agreed that we will have more time to relax and celebrate after the New Year. 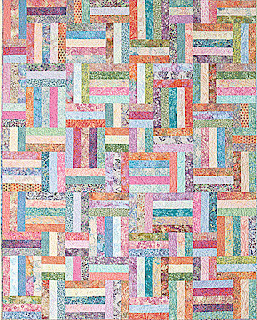 In the meantime, I have picked the quilt pattern that I want to work on during my PAR-TAY day. I have chosen Popsicle Sticks from Atkinson Designs. This is my test block. 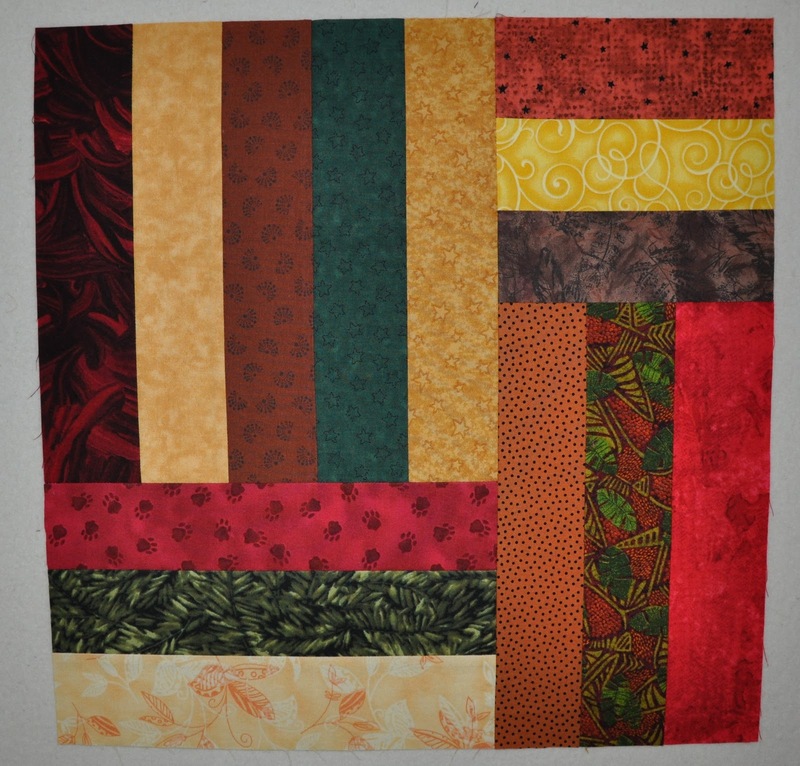 I am glad I spent the time to put together a test block ahead of the quilting day as I now know that I will make the most efficient use of my fabric if I use WOF strips rather than FQ’s. I still have many fall coloured / themed fabrics in my stash to pull from so this will be another quilt from my stash. I am planning to make my quilt King sized – 112″ x 112″. I will need 49 of these 16 inch blocks made from 2.5 inch strips of fabric. Terry Atkinson mentions on the pattern jacket that you will need 4 jelly rolls (2.5 inch strips, 42″ long) or 50 fat quarters. 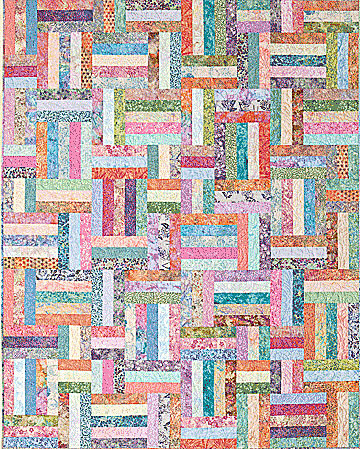 She goes on to say that if your fat quarters are smaller than 18″ x 21″, you will have to allow extra yardage. ﻿When I was making my test block, I found that fat quarters did not work for me–too much waste.